Sunny Florida attracts a lot of people with its palm trees and hot beaches. To be specific, Florida has over 1,200 miles of gorgeous sandy beaches that entice tourists and prospective homeowners alike. This transient state sees thousands of people moving in and out of the area every single day and with the thriving opportunities in recreational activities, entertainment AND tax benefits, it’s no wonder why people want to live here. Before you pack your favourite bikinis and move to Florida, you have to be well prepared. The early stages of your relocation should include finding a Florida mover that will make things easy for you. First you’ll have to consider where you’ll be coming from. Will you be needing local Florida movers or moving companies that offer long distance services? Are you going to do the move yourself or are you looking for a full service company that will help you out? These are important points to consider because there are a LOT of options out there and you may get lost if you’re not clear and organized. 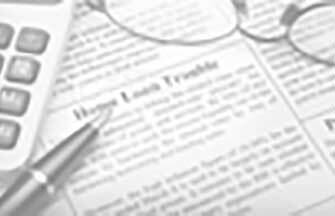 What you want to find are Florida movers with good credentials and the proper accreditations. Look for Florida licenses and other information that will assure you of their professionalism and background. It helps if you already know people from Florida who can give you good recommendations. If not, you can do a bit of research to find the movers on your own. The people in Florida are always active and easy-going. That’s why it’s important to do your move as quickly and as efficient as possible. To do this, you have to find Florida movers easily and in good quality. This is where online quote services like Top Mover Quotes will come in handy. 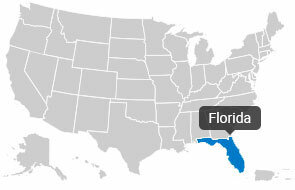 Sites like these can connect you with actual moving companies that will help you move easily to the Sunshine State. You’ll just have to enter your details and requirements and voila, instant quotes. When using online moving quote providers, you better be safe though. Go for companies with proven experience in the industry. This will assure you of actual quotes from reputable moving companies. Once you have a moving company, you’re only a few steps away from enjoying the great weather, the fantastic people and the fun lifestyle that Florida has to offer. Ace Relocation Systems, Inc. has been providing world-class, award-winning services for 40 years. Ace is one of the largest agents for Atlas Van Lines, and has nine offices nationwide. (Austin, Washington DC,Chicago, Long Beach, Orlando, San Jose, Phoenix and Seattle)* Business Area : - Family relocation - Employee relocation - Office relocation - International relocationWith over 40 years of experience and emphasis on absolute customer satisfaction, Ace is able to provide flexible relocation solutions in order to meet the ever-changing service needs of our clients.We are members of several organizations that demonstrate our commitment to quality and service excellence.BBB(Better Business Bureau) / AMSA (American Moving and Storage Association) / ProMover / CMSA ( California Moving & Storage Association) / Registered International Mover Program / Regional Chambers of Commerce. Established in 1968 Ace Relocation Systems, Inc., a San Diego-based companyfounded in 1968, has offices in Austin, Washington DC, Chicago, Long Beach, Orlando, San Jose, Phoenix and Seattle.Ace Relocation Systems is a founding shareholder of Atlas Van Lines. The founder, Reg Lammers, held a seat on the board of directors for Atlas Van Lines from 1994 -2007. Meet the Manager: Craig M.
Established in 2000 Sunset is a family minority owned business serving the entire state of Florida for the last 10 years.